The state of Tennessee has a bit of everything. Graceland, home of world-famous singer Elvis Presley, is located in Memphis, Tennessee, and is a favorite destination of tourists and Elvis fans. The Chucalissa Archaeological Site, also in Memphis, is a reconstructed Native American village featuring authentic grass huts and a ceremonial burial ground and is more than 1,000 years old. Bounded by the Appalachian Mountains to the east and the Mississippi River to the west, Tennessee is famous for having a strong musical heritage, with countless country and blues singers having started long, successful careers in Nashville. With long summers, breathtaking fall foliage along the mountain ranges, and just enough snow to make the winter holidays picturesque, Tennessee gives residents and their four-legged companions plenty of time outdoors. As any Tennessee resident will tell you, creating a comprehensive strategy for raising and training your dog will allow you and your pet to enjoy more of your time at home and exploring many of Tennessee’s offerings. Throughout Tennessee, there are many private breeders and retail pet stores where you can purchase dogs of many different breeds if you’re looking to extend or start your family or household. Alternatively, you could find and rescue a dog in need of a good home. Many such dogs are older, have prior training experience, and may come from a home that had some type of pet fence. Whether you’re raising a new puppy or training an adult dog, it’s important to develop a comprehensive training plan using a variety of resources available throughout the state of Tennessee. It’s a great idea to enroll your dog in training courses offered in Tennessee. These courses are offered by some of the best and most capable certified trainers in the state, are offered either privately or as part of a group, and teach dogs not only to follow specific orders and commands but also general good behavior and manners. This is reassuring for when you take your dog to the park, where it could interact with other pets and unfamiliar people. Having a dog that is well-behaved is also beneficial because it means spending less time correcting your dog’s behavior and more time enjoying their company. Many Tennessee dog trainers also offer training refresher sessions, which are designed to discourage your dog from picking up old habits and will reinforce the commands taught in prior training courses. There are many things that you can do yourself to give your dog the healthy, safe, and therefore happy life that your pet deserves. Providing your dog basic necessities, such as nutritious food, an outdoor shelter if your dog will be spending periods of time outdoors, chew toys for dental hygiene, tennis balls and discs for play and exercise, and, of course, a protective barrier, is a great way of showing your dog love. The importance of a quality wireless dog fence cannot be overestimated. Even with the best care and all of your love, your dog can be prone to many unfortunate accidents outside of your power. Accidental injury is a possibility, such as getting hit by a passing vehicle. Some dogs, while sniffing around and exploring their own yard, may unknowingly wander away from home and become lost. It’s also possible for your dog to attack passing dogs or people. Any of these scenarios could mean grievous injury or even death for your pet, which is also a beloved member of your family. However, each and every one of these scenarios can be prevented with a wireless pet fence. Tennessee owners will love how the underground pet fence, when combined with your dog’s training and customized to your dog’s temperament and individual needs, provides unparalleled peace of mind and prevents countless mishaps and even the loss of your dog. 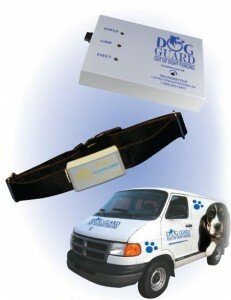 If you want to buy a hidden fence, TN has no better option for a wireless pet fence than Dog Guard. We ensure our dogs’ success in training and their overall well-being. Not only are they simple to use, but the electric fence TN residents can buy from us will provide your dog with a predefined radius in which they can run, jump, play, sniff, and do all those other things that dogs do. If you want innovation and flexibility in an electric dog fence, Tennessee pet owners will love the features they get with a versatile hidden fence that can make either the entire yard available to your dog or just a specific area if you would rather that your pets relieve themselves in a predefined area to minimize the mess. If you are looking for a great hidden fence, TN has no better option than this fence, which dog owners will love.